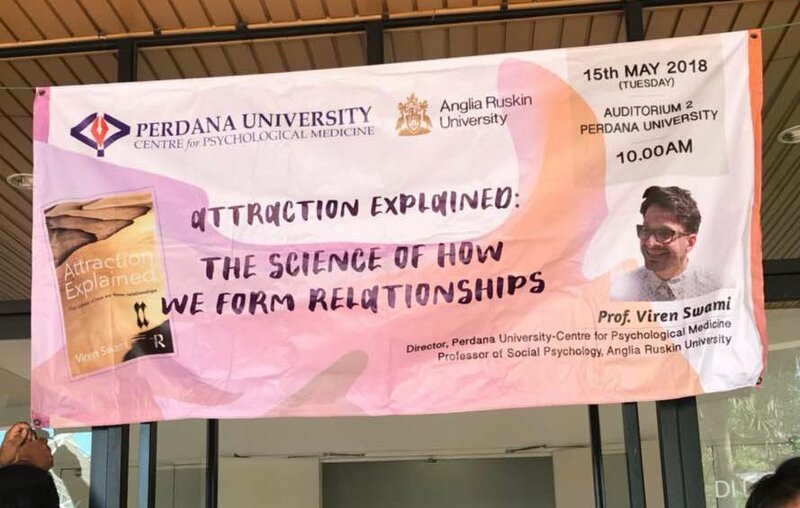 Director of PU-CPM Prof Viren Swami had a talk on “Attraction Explained: The Science of How We Form Relationships.” on 14 May 2018 at University Malaya and 15 May 2018 at Perdana University. The session was followed up by a Q&A platform for participants to raise questions and opinions. There was a big turnout and positive feedback for both events.